Interactive workshops—combining conversation, guided movement, and excerpts from Urban Bush Women's Hair and Other Stories—that encourage participants to re-examine closely held beliefs about themselves in society. Participants will recall their own personal hair stories and consider childhood notions of beauty and their proximity to that standard; understand manifestations of racism; consider practices for dismantling racism; and sustaining those practices in a lifestyle of liberation. 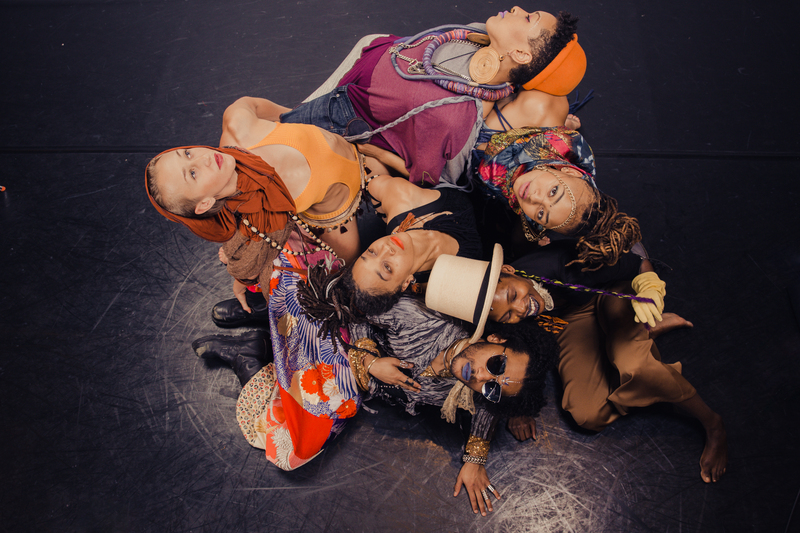 Throughout, participants will explore guided movement and song to foster deeper connections to these ideas, turn ideas into action, channel discomfort, embody hopes and, in doing all of this, transform. No dance training or experience necessary. With Urban Bush Women company members. Hair Parties are interactive workshops—combining conversation, guided movement, and excerpts from Urban Bush Women's Hair and Other Stories—that encourage participants to re-examine closely held beliefs about themselves in society. Using hair as a lens through which to examine systemic racism in America, Urban Bush Women fosters bravery and risk-taking to unapologetically delve into conversations on race relations in the United States. * Entry to this event is first come, first admitted, while space is available. RSVP does not guarantee entry to this event. * Portions of the program will be filmed for a video about Urban Bush Women.